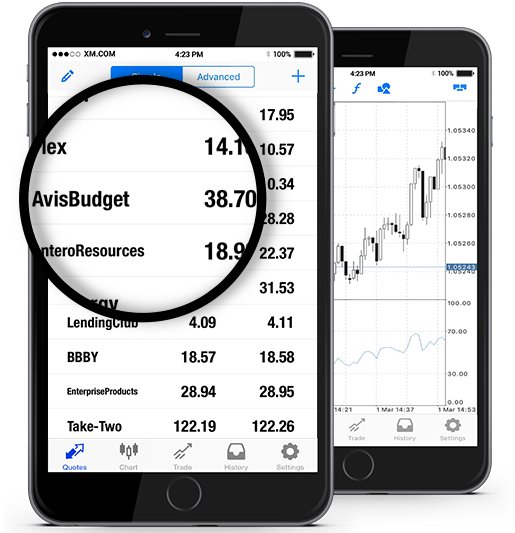 At XM we offer Avis Budget Group, Inc. (CAR.OQ) stocks as cash CFDs. Our cash CFDs stocks are undated transactions that aim to replicate the cash price of the underlying stock, and so they are adjusted for any relevant corporate actions. Avis Budget Group, Inc. is a leading general-use car rental and leasing services company founded in 2006 and based in New Jersey, USA. It belongs to the largest in its industry in North America, Australia and New Zealand. As a parent company, Avis Group owns and operates Payless Car Rental, Zipcar, Budget Truck Rental, Budget Car Rental, Maggiore Group, and Apex Car Rentals. Avis Group is a component of both the DJTA Index and the S&P 400 stock index, and it is listed on NASDAQ. *** Note that the maximum trading volume for AvisBudget per client is 1980 lots. This limit will be reviewed on a daily basis and updated according to the value of the instrument. How to Start Trading Avis Budget Group, Inc. (CAR.OQ)? Double-click on Avis Budget Group, Inc. (CAR.OQ) from the “Market Watch” to open an order for this instrument.